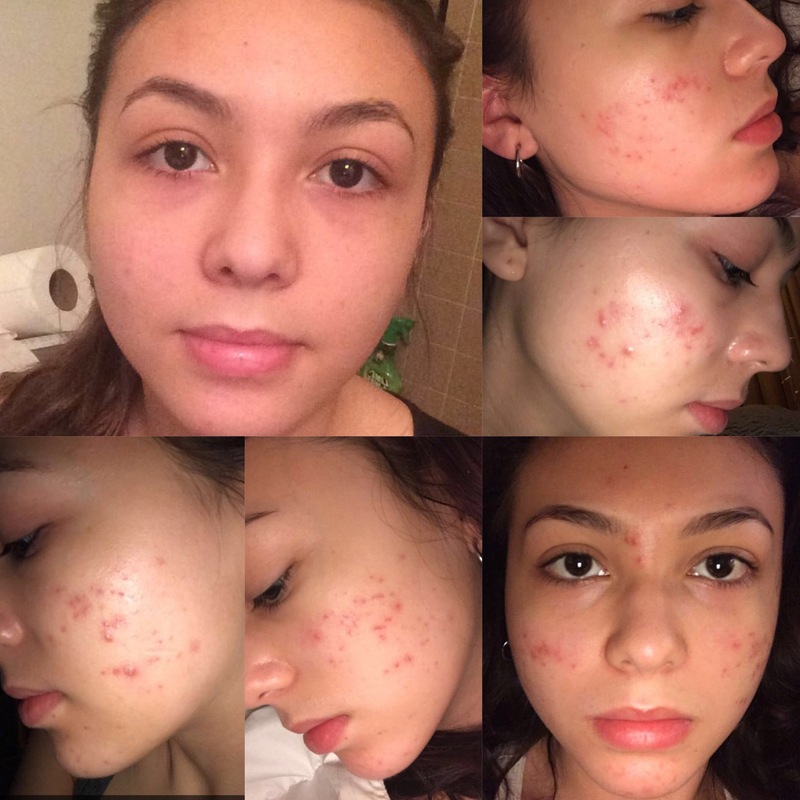 The largest picture is me before using the Acne.org regimen and the other pictures are 3 months after using it. I have now stopped due to the dark red marks left by the regimen after the breakouts it caused. 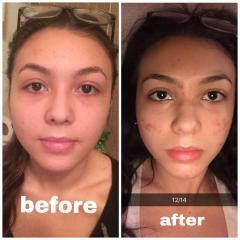 >> Before I purchased the Acne.org regimen my regimen consisted of applying Epiduo on my face in the morning and at night. Epiduo cleared my skin in 3 months. When I ran out of Epiduo I started looking for an alternative I could purchase because Epiduo is pricey. 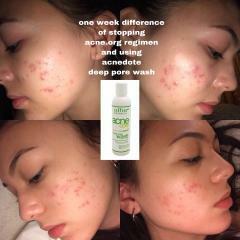 I didn't want my acne to come back and that's when I found Acne.org. I first found a review on youtube and her skin looked amazing! I found out many people had the same results and when I went on the website I discovered more people's stories. I was very optimistic and excited to try it. I used the regimen as directed for 3 months. I have now STOPPED this regimen because it has made my skin SO much worse. This regimen made me break out like crazy and once the breakout subsided I was left with so many dark and red acne marks. I've had trouble with acne marks before I started this regimen but I only had a few marks. Now because of this regimen I have 30+ marks that aren't going away anytime soon. I am very disappointed and so much more insecure and upset about my skin than before. My skin makes me want to cry because of how dark and lasting these marks are. I WOULD NOT GO ON THIS REGIMEN IF YOU GET MARKS EASILY. I just wish I never even bought this product.